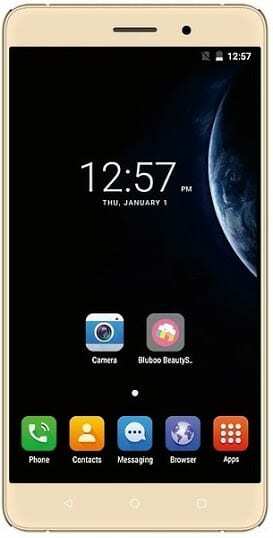 The Bravis A552 Joy Max was launched in January as a budget friendly smartphone with low-level specs. Bravis is known for making these affordable smartphone for those on a budget. The Joy Max will definitely bring lots of Joy to light users, with a massive 3000mAh battery powering the smartphone. The device is available on shopping stores, you can click the links before for availability. What is Bravis A552 Joy Max Price and Availability Status? It comes in a good looking package to be honest, Bravis knows exactly how to make their devices look good. The body is actually plastic but looks like Metal from afar. The design at the rear is simply magical and reflects light beautifully. Apart from the edgy design, the rear looks so plain with no fingerprint scanner in sight. Only the rear camera and LED flash are available at the back, sitting at the top left corner in a horizontal position. When you turn over to the sides, it measures 8.3 mm in thickness and weighs 184g overall. You can get the device in Gray and Gold colors. The screen is just like the ones on most budget smartphones though. Dishing out a 16:9 aspect ratio and sporting three navigation buttons at the bottom bezel. While the top bezel houses just the selfie camera and speaker grille. The 5.5-inch HD IPS LCD capacitive touchscreen displays like most budget smartphones. Boasts of a resolution of 1280 x 720 pixels and 267 pixel per inch density, making everything on the screen clear enough. Additionally, the screen on the Bravis A552 Joy Max stretches up to 71% screen to body ratio. Behind the screen is the MediaTek MT6580 chip with Quad-core processor and 32-bit CPU architecture. The 4-cores of processor clocks at 1.3GHz and boasts of a 28nm process technology. While the ARM Mali-400 MP2 graphics processor handles graphics. In terms of RAM and storage, there are two versions, the standard version with 2GB RAM and 16GB storage, while the cheaper variant has 1GB RAM and 8GB storage. Both RAM space reaches a memory speed of 533MHz, while the storage space is upgradeable up to 32GB. The Bravis A552 Joy Max runs on Android 6.0 Marshmallow operating system. The 13MP rear shooter comes with a LED flash and other features capturing 4K resolution images. The camera captures photographs with 4416 x 2944 pixels in dimension and record FHD videos of 1080 pixels at 30 frames per second. Then there’s an 8MP selfie camera at the top bezel. 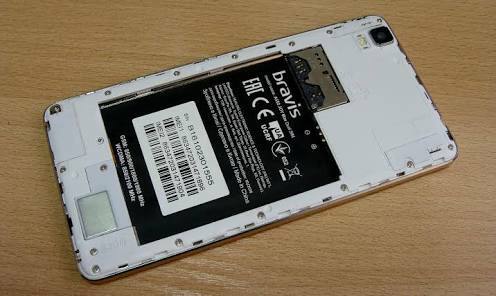 Powering the Bravis A552 Joy Max is a 3000mAh removable Li-Ion battery with no fast charging technology. Even without the fast charging feature, it shouldn’t take more than 3 hours to fully charge up the battery from 0% to 100%. The Bravis A552 Joy Max is available on Shopping stores starting from $79 (N25,000) to $109 (N35,000). Click on the links above to view the latest Bravis A552 Joy Max price & availability. Once again I will like to Thank techlector team for always giving a first hand comprehensive review on smart phones! techlector team are always excellent! Excellent smartphone by Bravis! The Bravis A552 joy Max has a nice specs and the smartphone is budget friendly! Excellent review by techlector team!